Do your kids ever ask for a bowl of yogurt, eat 2 spoonfuls’s and then claim they are full? Yup, mine too, and it drives me crazy!! Which yogurts are the healthiest? I’d like to spend just a moment talking about shopping for yogurt, because not all yogurt is created equal. It is a “sneaky food” that is often filled with added sugars and none of the fat kids need if you don’t know what to look for. Yogurt can be a super healthy snack or breakfast, but I make sure to stick to 3 ‘rules’ when shopping for yogurt (there are SO many choices, it can be mind boggling!). We don’t do a lot of regular dairy in our house, but we do like yogurt and cheese products. . There are a number of great reasons to choose organic dairy products over conventional. One of the most important to me is I know I am receiving a higher quality product, because organic farms are required by law to adhere to different (and more strict) standards than conventional dairy farms. Check out this handy chart explaining 10 ways organic dairy is different than traditional dairy for a number of other great reasons to choose organic. Raw milk yogurt is also a good option if it is available where you live. When you purchase from a local farmer you get to see exactly where your food is coming from and how the animals that produce it are treated. I used to purchase raw milk through a co-op in my area, and tried my hand at making my own yogurt, sour cream and some soft cheeses: they were delicious! 2. Skip low-fat, especially for kids. 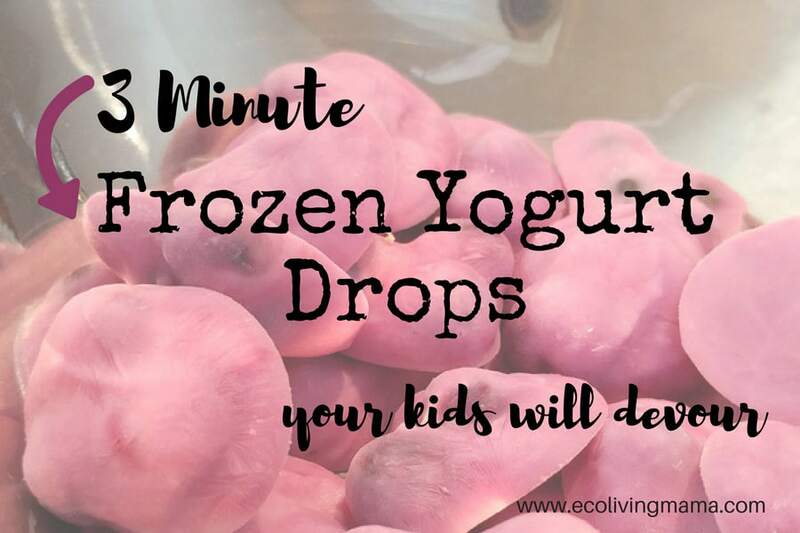 One of the main benefits of yogurt is the healthy dose of fat and protein, which kids need tons of for their growing bodies. Low-fat dairy products will still give some protein, but full-fat is ideal. Removing fat from milk eliminates the fat soluble nutrients that are naturally in milk, such as vitamins A and D. So low-fat and fat free dairy products have been fortified with the artificial versions of these vitamins. I don’t know about you, but I always prefer vitamins from natural sources versus supplements! Thickeners are also added sometimes to low-fat dairy, since removing the fat makes for a thin and watery product. I always purchase whole milk yogurt for my kiddos. 3. Buy plain yogurt and skip the added sugar. This is a big one for me. We buy plain yogurt with no sugar added because I want to control how much and what type of sugar my kids are eating. We add fresh fruit to it, which is plenty of sweetness for them, but of course you could also add a little honey or maple syrup if you prefer. Shopping for plain yogurt pretty much eliminates all of the individual serving packs and the ‘kids’ yogurts. I have not found a single serve size that is just fruit and yogurt – they all have sugar added. We buy the large containers and dish out into bowls, which is a more economical way to purchase yogurt anyway. Of course you can make this recipe with non-leftover yogurt as well, and it’s just as quick. You can customize these however you like. Since we typically eat plain, organic whole milk yogurt with fruit mixed in, this is what our yogurt drops are also. Frozen blueberries, mango chunks and strawberries are all favorites at my house. 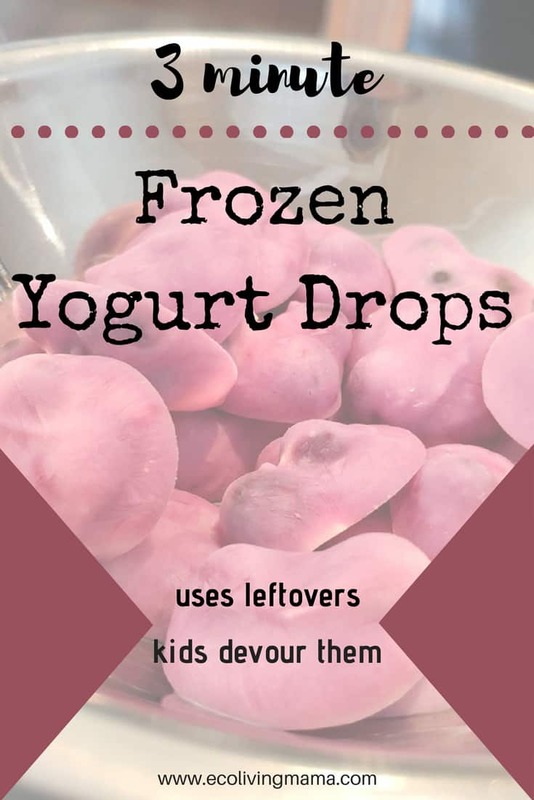 I like to use leftover yogurt my kids didn't finish to make these, but of course you can make this recipe with non-leftover yogurt as well, and it’s just as quick. You can customize these however you like. Since we typically eat plain, organic whole milk yogurt with fruit mixed in, this is what our yogurt drops are also. Frozen blueberries, mango chunks and strawberries are all favorites at my house. Drop the leftover yogurt onto a baking sheet by the teaspoonful. Make sure the baking sheet is one that will fit in your freezer! I’ve made this mistake before. Freeze for 2 -4 hours, or until solid. 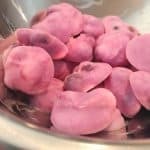 Remove from baking sheet, and serve immediately, or store in an air-tight container in the freezer for up to a month. These never last that long in our house! What did I tell you, is that crazy simple, or what?! Do you have any hacks you use to transform leftovers into something even better?